Will Billiat risk playing for Zimbabwe with an injury? 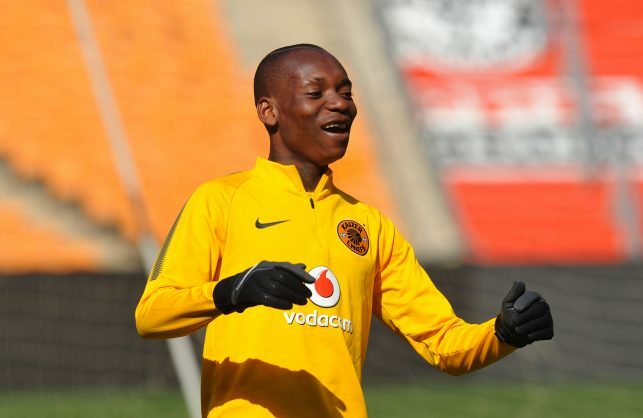 Kaizer Chiefs forward Khama Billiat has reportedly asked the Zimbabwean national team medical staff to fast track his recovery so that he can play on against Congo on Sunday. Billiat joined the Warriors team despite suffering an injury in Chiefs’ loss to SuperSport United in the MTN8 semi-final last weekend. Warriors’ doctor, Solomon Mudariki believes Billiat can recover from his hamstring injury. “We are monitoring the situation with Khama Billiat. He had a knock at the weekend, but we are doing all we can to make him available for Sunday’s match,” Mudariki told the Herald. Billiat has asked the medical team to delay the decision on his availability to the last minute. The Warriors are set to play against Congo in Brazzaville on Sunday.